Happy Valentine's Day to all from QueryTracker! As you know. Saint Valentine was the patron saint of beekeeping, epilepsy and fainting. And something else too, but it's so elusive. Maybe they know at Hallmark. This week we've added two agents to our database. Please make sure you double-check every agent's website or Publisher's Marketplace page before sending your query. Simon and Schuster reported record profits for last year. http://hiveword.com is a search engine geared toward writers. I'm not sure yet how much more helpful it will be than Google, but I'm passing it along. What happens to a retailer more secretive than the NSA? Amazon and the perils of nondisclosure. An author explains that segregating boy stories and girl stories is a disservice to both. An editor discusses what happens when a writer won't listen. 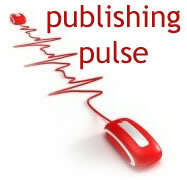 NPR talks about self-publishing. Meanwhile, one writer's lessons learned from self-publishing.